We are happy to invite you to Göttingen to the biannual conference on Molecular Biology of Fungi “MBF2019”. The conference will start at noon on Thursday, September 19th and will end on Saturday 21st, 2019. 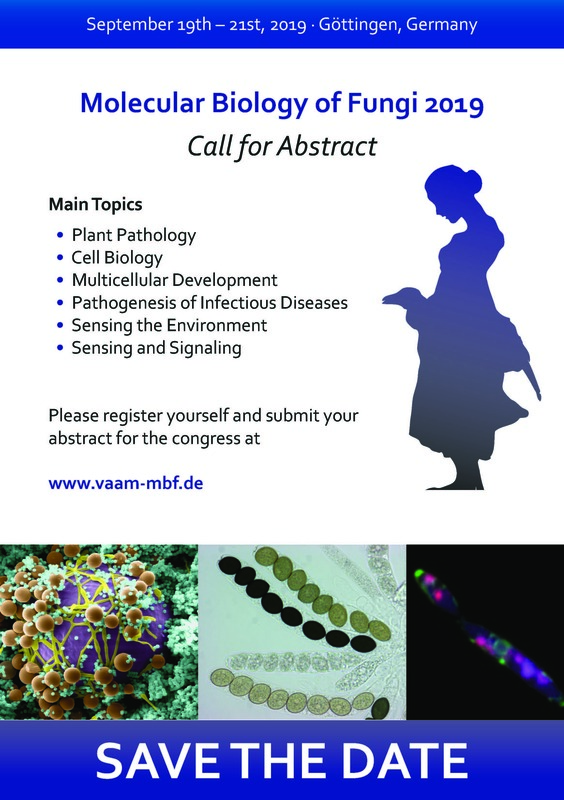 The MBF2019 will be the 13th event in a successful series and addresses all members of the VAAM special group “Biology and Biotechnology of Fungi” as well as all researches working in the field of fungal biology. 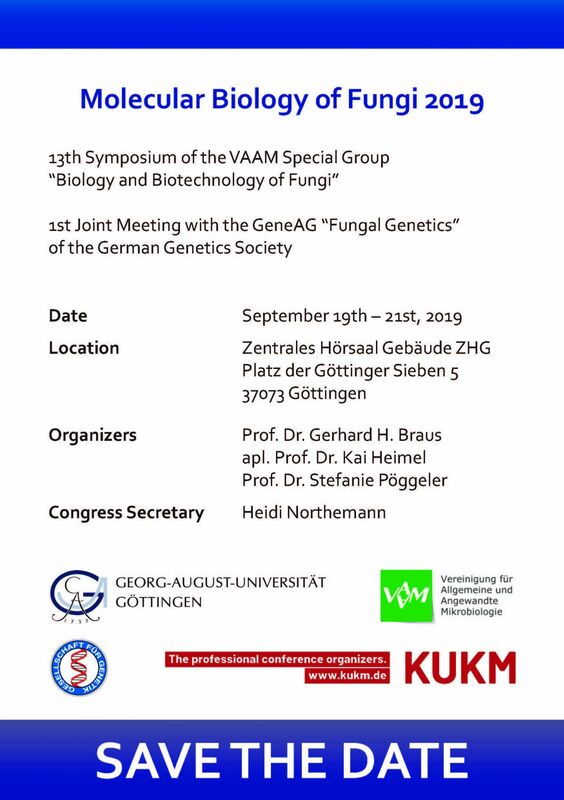 For the first time the meeting will be jointly organized by the GenAG “Fungal Genetics” of the German Society of Genetics (GfG). 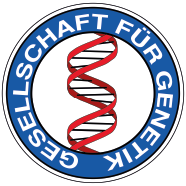 The meeting brings together researchers working on diverse aspects of fungal biology and genetics. Main topics of the meetings will include plant pathology, cell biology, and multicellular development, pathogenesis of infectious diseases, as well as sensing and signaling. Join us in Göttingen to present your research and get feedback from a broad audience of experts working at the forefront of fungal biology.